It's official - Kanye West is releasing a film. He's teased us with an exciting trailer, but what can we expect from the movie? 1. 1. Some amazing direction from long-time Kanye collaborator Hype Williams. 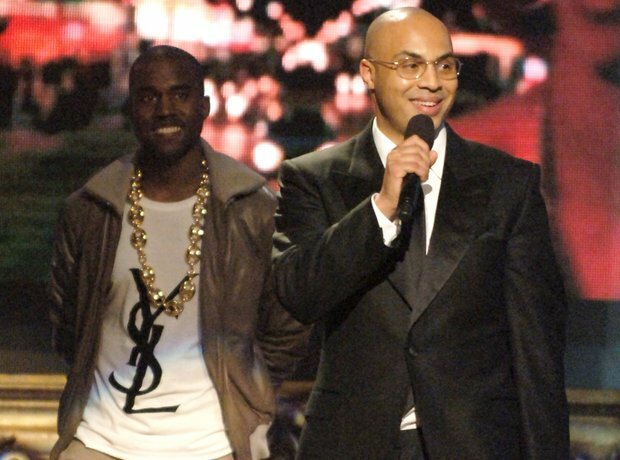 The only solid piece of information we know about the upcoming Yeezus film is that it will be directed by Hype Williams, the man responsible for some of the most memorable videos in music history, including 'Ye's Gold Digger, Heartless and All Of The Lights, Beyonce's Drunk In Love and Tupac's California Love. If there's one man that knows what he's doing, Hype Williams is it. 2. 2. High quality, high intensity footage from Kanye's Yeezus tour. From the short trailer released, it looks like Yeezus is likely to be a concert-film. So expect footage of Kanye jumping about in a mask, working his way around a pyramid-like mountain and some unseen footage of his best performances from the tour. 5. 5. More Kim Kardashian, possibly on a motorbike, possibly not. Rumours are flying all over the place that Kin Kardashian will be featuring in the film and what with her 'Yeezus' debut in last year's Bound 2 music video it's not too hard to believe. A 'spy' has been quoted as telling Radar Online "Kim is definitely going to be in it. The screenplay already features her character… Her role is going to be very dramatic". Watch this space. In a recent interview with Vice, American Physco author Bret Easton Ellis said that he was working on a movie with 'Ye. "He came and asked me to write the film," He said. "I didn't want to at first. Then I listened to Yeezus…. I thought, regardless of whether I'm right for this project, I want to work with whoever made this". Ellis even said he had penned a script but that the movie was in "Kanye Land," so it's unclear whether Ellis was talking about the same project. 7. 7. "Everything I do is an art project. I come from art school. Top three in the country". Yeezy's own design company Donda has a lot to do with the tour's stage design, and with Kanye reckoning himself as an 'artist' first and foremost, there's no doubt going to be a lot of talk about the production process. At a recent concert he said; "Anything I do sonically is art. Anything I do visually is art. So don't ever pull me into some classification or some box". 8. 8. A religious element. He has his own cult following and the show is called Yeezus. We've added one plus one and come up with the theory that there will be a religious theme flowing through the scenes of Yeezus The Movie. 9. 9. Cameos from like the likes of Jay Z and Kendrick Lamar. With a celebrity friend list longer than the average persons Christmas card list, there's sure to be some rap cameos a film documenting Kanye's career. With Kendrick Lamar supporting the tour and Jay Z being a long-time collaborator and friend, we can image their faces will pop up.